Winning Writers is proud to announce that it has assumed sponsorship of the Tom Howard/Margaret Reid Poetry Contest and the Tom Howard/John H. Reid Fiction & Essay Contest. Entries are welcome at WinningWriters.com. Winning Writers shares my desire to give writers an excellent experience and a high degree of exposure for the winning entries. Winning Writers has assumed the sponsorship of the literary contests formerly sponsored by Tom Howard Books of Australia. These include the Tom Howard/Margaret Reid Poetry Contest, now in its 11th year, and the Tom Howard/John H. Reid Fiction & Essay Contest, now in its 22nd year. "We have been working with Winning Writers as our American partners for almost a decade," says outgoing contest judge John Reid. "The volume of entries to our contests has surged thanks in large part to their publicity efforts. Winning Writers shares my desire to give writers an excellent experience and a high degree of exposure for the winning entries. I want to reward work that has a strong emotional heartbeat, and so do they." Mr. Reid and outgoing preliminary judge Dee C. Konrad will remain advisors to the contest. 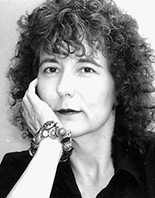 The new judge of the Tom Howard/Margaret Reid Poetry Contest is Ellaraine Lockie, a widely published and awarded poet, nonfiction book author, and essayist. Her recent work has been awarded the 2013 Women's National Book Association's Poetry Prize, Best Individual Collection from Purple Patch magazine in England for Stroking David's Leg, winner of the San Gabriel Poetry Festival Chapbook Contest for Red for the Funeral and The Aurorean's 2012 Chapbook Spring Pick for Wild as in Familiar. Her tenth chapbook, Coffee House Confessions, has just been released from Silver Birch Press. Ms. Lockie teaches poetry workshops and serves as Poetry Editor for the lifestyles magazine, Lilipoh. 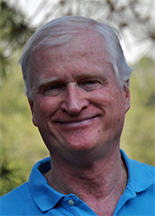 The new judge of the Tom Howard/John H. Reid Fiction & Essay Contest is Arthur Powers, who went to Brazil in 1969 as a Peace Corps Volunteer and has lived most of his adult life there. From 1985 to 1992, he and his wife served with the Franciscans in the eastern Amazon, organizing subsistence farmers in an area of violent land conflicts. They subsequently directed relief and development projects in the drought-ridden Brazilian Northeast. Currently they live in North Carolina. Mr. Powers is the author of A Hero For The People (Press 53, 2013) — a collection of short stories set in Brazil — and The Book of Jotham (Tuscany Press), which won the 2012 Tuscany Press Novella Award. He has received a Fellowship in Fiction from the Massachusetts Artists Foundation, three annual awards for short fiction from the Catholic Press Association, and second prize in the 2008 Tom Howard/John H. Reid Short Story Contest for "The Bridge". He is the contemporary editor of CatholicFiction.net. "It has been a rare privilege to work with John Reid on these contests," says Adam Cohen, president of Winning Writers. "He is devoted to elevating genres and styles that tend to be overlooked today, such as verse in traditional forms. His generosity to writers is inspiring. On several occasions, John awarded extra prizes beyond those originally promised. We will do our best to honor his legacy." Winning Writers finds and creates quality resources for poets and writers. It was founded by Jendi Reiter and Adam Cohen in 2001. In addition to the Tom Howard contests, Winning Writers also sponsors the Sports Fiction & Essay Contest and the Wergle Flomp Humor Poetry Contest. 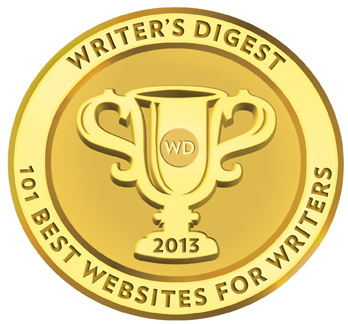 Winning Writers is proud to be one of "101 Best Writing Websites" (Writer's Digest, 2005-2013). Sign up for our free email newsletter at WinningWriters.com and receive monthly news about the best free literary contests and resources. Follow us on Twitter at @winningwriters.